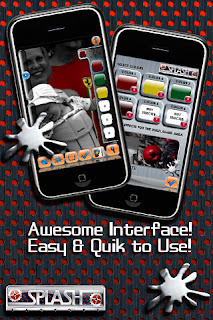 EmirBytes an Independent iPhone’s app developer has released Splash Factory 1.0 for iPhone and iPod touch platform, utilizing the touch interface. The app is available for download in the Apple’s App Store since today. Splash Factory 1.0 serves for better image on your iPhone by splashing colors on your photo. A pp offers 7 introductory effects and color/object selection method, what makes available for the users to mix either selection by shades of color and by area definition. Splash Factory also offers Black & White, Sepia, Pixelate and Pen Sketch effects for the unsplashed areas. Splash Factory 1.0 is $2.99 (USD) and available worldwide exclusively through the App Store in the Photography category.